In 1994 Pakistan was champion in squash, amatuar snooker, hockey and cricket. In squash there was no parallel to Pakistan, in hockey team Pakistan is 3 times Olympic gold medalist and 4 times world champion and who were not a fan of Pakistani cricketers in past. But here I will only talk about hockey because it's an Olympics game. Since 1948 when it was in London Pakistan hockey team play their maiden game till last Olympics Pakistan was regularly a part of every big tournament but not only we disqualified for 2004 world cup ,also our hockey team couldn't make it to Rio Olympics for the first time in our history. I feel shoked when I say all these for our national game. 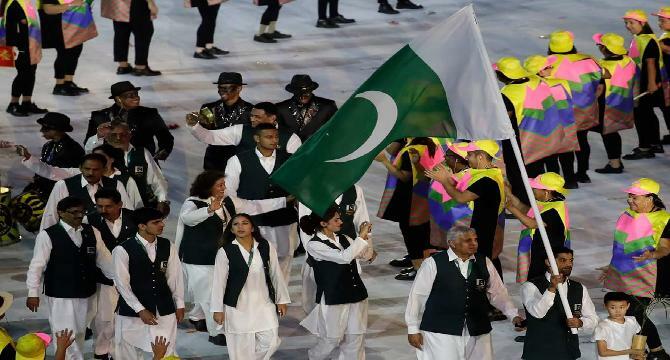 Pakistan could only manage to send 7 athletes to Rio Olympics and to be honest non of them are expected to win gold for Pakistan and they are fewest then Burmuda contribution in Rio Olympics. Dear readers my this article doesn't mean that I am not backing up my country in Rio Olympics . Even they are fewer in number but they are representing us and I am proud of them. The main thing I am worried about is our governance who put a budget of 5 million dollars for sport in Punjab and it doesn't work why? It's recorded in history that Khyber Pukhtun Khwa produce sports heroes for nation but they were given only 17 million for sports. On behalf of chillkey.com I want to request our federal government to stop corruption in sports, select players on marrit and make our flag high all over the world and also to all of you readers to try to forward this msg by sharing it on social media to make it viral. Your advises and comments are always welcomed. It is a sad fact that we are not transforming our youth into great athletes rather we are destroying our assets.